I almost wrote Burrito. What kind of burrito would that have to be!?! But, I did make a very passionate cocktail. A Mojito! They don't come out perfect like a real glass, they don't form a perfect circle all around, but I think they are just gorgeous and oh so cool! So now I had couple of very cool glasses, what now? I only had tequila, rum and triple-sec home leftover from my birthday. 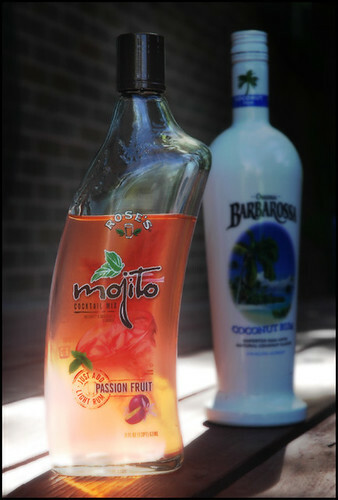 I also had a passion fruit mojito mix. So that decided it. Passion fruit mojito it is. Chris and Andrea got the real deal. I only poured a little bit of the mix with ice in mine. I used a shot glass of rum and two shots of mojito mix for theirs. I put a slice of lime in it too. They said it was very good, I'm sure it is. I love everything made with passion fruit by default! And, I finally realized that passion fruit is maracuja. Aleluja. I LOVED the feeling of sipping my drink from this glass. 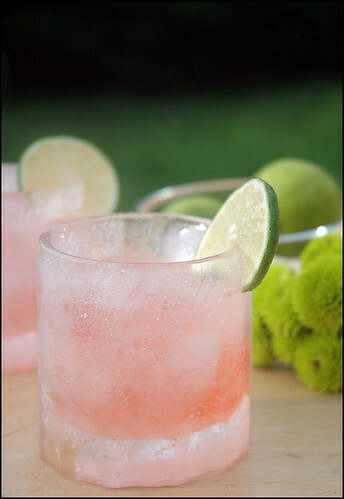 The taste of the drink combined with the cool feeling on your lips and a perfectly cool drink is just fawesome. You probably can figure the downside of it by yourself. You better drink fast, or you just might loose your drink. These glasses melt away fast in the summer. After the first drink we had to use little bowls so the ice melted in them and the drink that was now dripping through a tiny hole was not lost. No worries, all got consumed and saved! Not only do I really want to try one of these, I love the final picture! Beautiful! I have never in my life seen anything like these glasses1 What will they think of next? Those are seriously was too cool!! And the picture is absolutely gorgeous! I need these glasses for my kids. They can drink them outside and I won't have to pick them up!! The picture is divine. Those are the coolest glasses (pun intended) :-) the mojito looks good too! 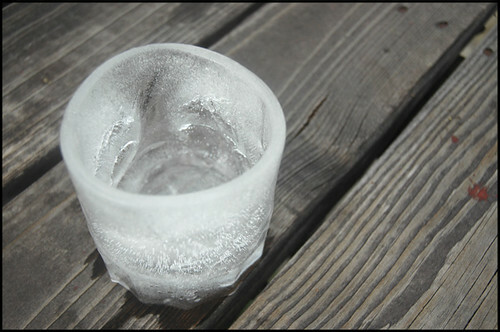 who was the maker of the mold for the ice glasses? in case i can't find them at the ross store in my area. they are really a neat idea! 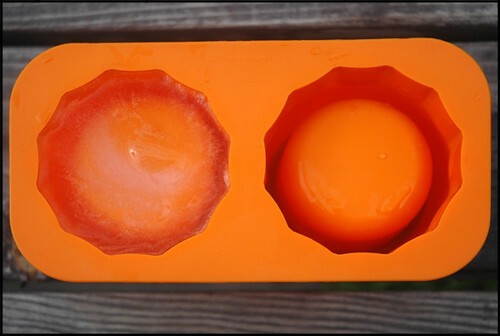 Boil distilled water and let it cool. That should take care of most of the trapped air bubbles and you should get a much clearer glass.